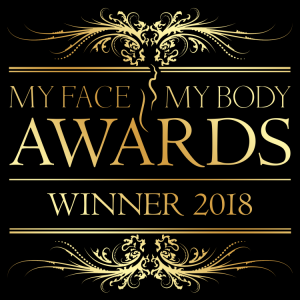 Clinical Director Dr Emma Ravichandran BDS.MFDS won the highly-esteemed ‘Medical Aesthetic Practitioner of the Year’ award at the renowned My Face My Body Awards 2018 in London. 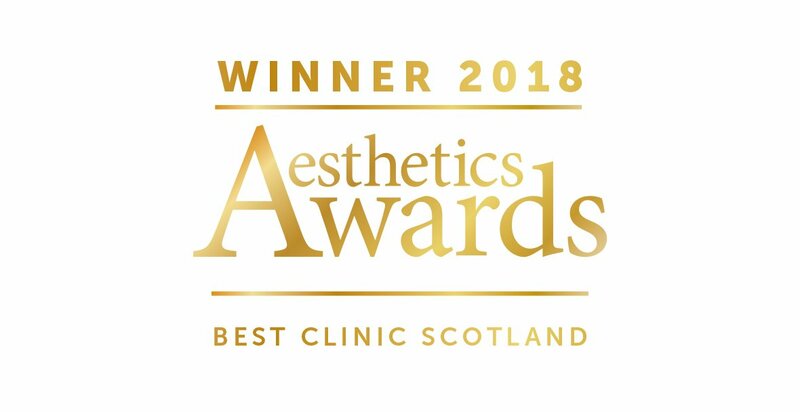 Best Clinic Scotland 2018 at the Aesthetic Awards! We are delighted to announce that Clinetix Director Dr Simon Ravichandran has won ‘Medical Aesthetic Practitioner of the Year’ 2018! 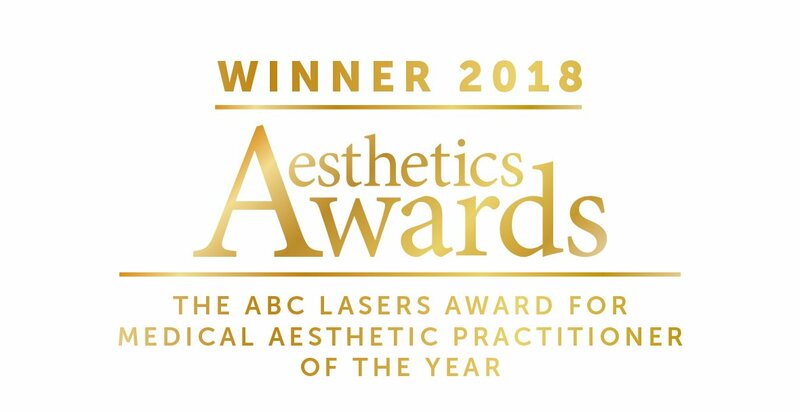 This is one of the most renowned and reputable awards an Aesthetic Practitioner can receive and the entire Clinetix team are so proud of Dr Simon for winning this award. This award recognises the aesthetic practitioner who the judges deemed to have contributed the most to their profession and provided the most outstanding care to their patients over the last twelve months. Dr Simon was up against the top Medical Aesthetic Practitioners from all over the United Kingdom and it truly is a great achievement to have taken home the gold. Clinetix took home the silver Highly Commended Award for Clinic Reception Team of the Year 2018 at the renowned Aesthetic Awards! This award recognised the Clinic’s Reception Team for ongoing, outstanding customer service. At Clinetix our customer service ethos is to provide a welcoming, adaptable, patient-centric, professionally caring service, based upon equality of treatment. Resulting in a flawless patient journey that inspires confidence and exceeds patients’ needs, requirements and expectations and we are delighted that our efforts have been recognised. 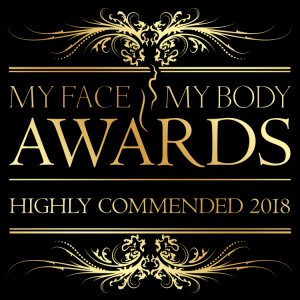 Clinetix Rejuvenation received the Highly Commended Award for ‘Best Aesthetic Clinic – Scotland’ at the prestigious My Face My Body Awards 2018. 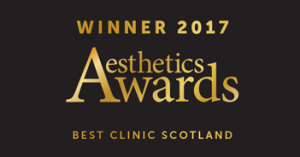 Clinetix Rejuvenation is proud to announce that we have won the “Best Clinic Scotland” award at the Aesthetic Awards 2017. It is an honour to win this prestigious award as it truly illustrates the hard work, dedication and professionalism of the entire Clinetix team. 2017 has been an incredible year for Clinetix Rejuvenation as we continue to grow, develop and push for higher standards of care in the aesthetic medical speciality. Dr Emma Ravichandran BDS.MFDS was awarded Aesthetic Professional of the Year 2017 in Glasgow. Mr Simon Ravichandran MBChB.MRCS was selected as a finalist for Aesthetic Medical Practitioner of the Year 2016. 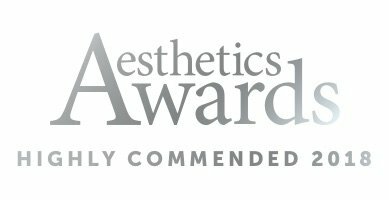 The prestigious award is an amazing achievement for any aesthetic medical practitioner and it was an honour to be selected as a finalist. 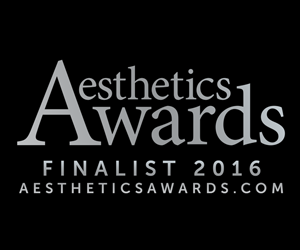 The Clinetix team were delighted to be selected as finalists for Best Clinic Scotland 2016 at the prestigious Aesthetic Awards. The Clinetix team are so proud to receive the silver Highly Commended awards for Best Clinic Team UK at the extravagant My Face My Body Awards 2016. We were up against strong competition throughout the UK so we are so pleased to have excelled in this category. Clinetix are so pleased to have been finalists for Best Aesthetic Practice North 2016 at the luxurious My Face My Body Awards 2016. 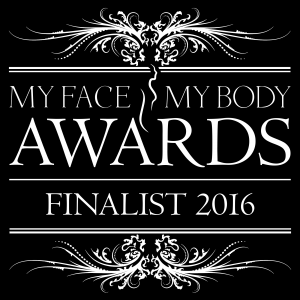 The Clinetix Team were so proud to be awarded as finalists for Best Customer Experience North at the lavish My Face My Body Awards 2016. Finalists for Cosmetic Clinic of the Year at the Scottish Hair and Beauty Awards! Clinetix are pleased to be finalists for Cosmetic Clinic of the Year at the 2016 Scottish Hair and Beauty Awards! The Scottish Hair and Beauty Awards ceremony is going to be held in the gorgeous Crowne Plaza Hotel Glasgow! 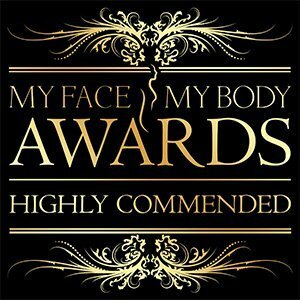 Clinetix were extremely proud to receive the Highly Commended Award for the Best Clinic UK (North) at the lavish My Face My Body Awards in London. 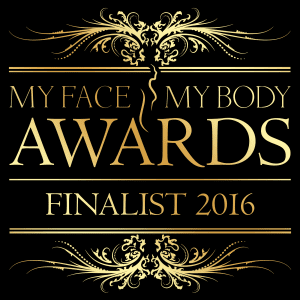 Clinetix Rejuvenation were so proud to be nominated as a finalist for the Best Clinic Team at the My Face My Body Awards 2015.